DrupalCon is an international event that brings together the people who use, develop, design, and support the Drupal platform. More than just another trade show or industry conference, it’s a shared experience that seeks to inspire and engage. DrupalCon Prague will feature dozens of curated sessions and panels from some of the most influential people and brightest minds within the Drupal community and beyond, as well as countless opportunities for networking, code sprints, informal conversations, and more. If you would like to meet with Acquia at DrupalCon contact us to discuss. Alternatively, drop by the Acquia booth (#18) and talk to our experts between sessions. A conference for east-european web designers and developers, bringing you an exquisite lineup of speakers. 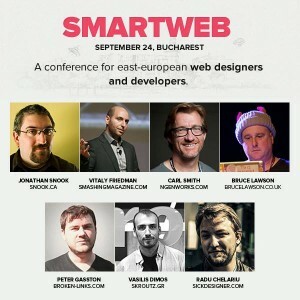 SmartWeb is a conference organized for web designers & developers, interaction specialists, UX designers, and web entrepreneurs. During the eight session program, attendees will discover the latest trends in modern web and mobile development, and meet your peers and great people from web industry.